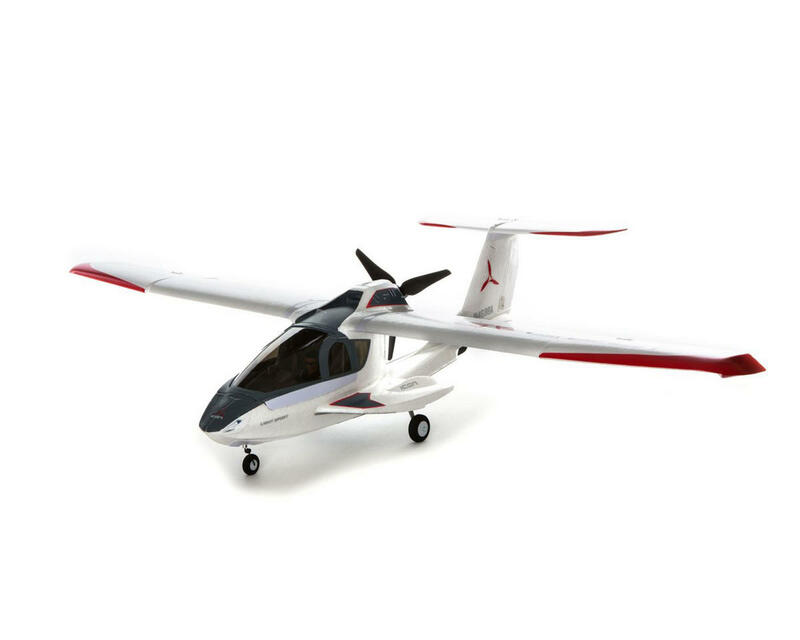 The E-flite ICON A5 BNF Basic Electric Airplane park flyer makes it easy to discover the thrill of amphibious flight. This Bind-N-Fly version comes equipped with a powerful brushless motor and the smooth, stable response of a Spektrum AS3X receiver. 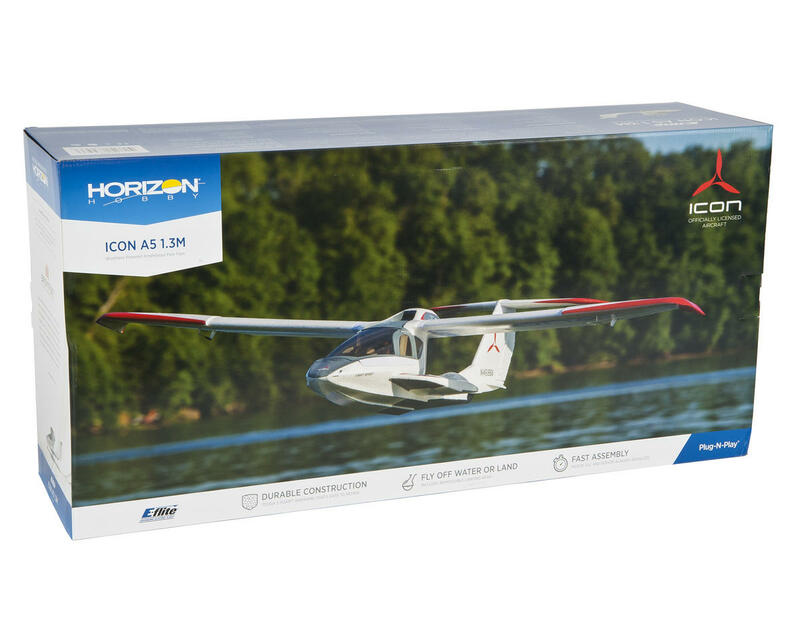 If you're a relatively new RC pilot, you have the option of activating the receiver’s built-in SAFE Select technology that limits pitch and bank angles so you don’t accidentally put the model in an unrecoverable attitude during your first few flights. It will also return the wings to level whenever the sticks are released. AS3X® Receiver with Optional SAFE6® Select Technology: The AS3X (Artificial Stabilization – 3-aXis) receiver works behind the scenes to smooth out the effects of wind and turbulence so you enjoy a sense of stability and precision that makes you feel like you’re flying a larger, expertly tuned aircraft. If you’re new to flying off the water or want an extra margin of safety while familiarizing yourself with the airplane, you have the option of enabling SAFE Select features like self-leveling and angle limits. No programming is required. All you do is change up the binding sequence as directed in the manual. If you don’t want to enable the SAFE Select technology, just bind the receiver normally and it will function like a standard AS3X receiver. You can even fine-tune its AS3X settings if you have the Spektrum programming interface and a compatible programming cable (both available separately).